Work to redevelop the historic Newcastle City Pool and Turkish Baths has started. Developer Fusion Lifestyle, in partnership with a group of specialist companies, will begin the £5m renovation of the city centre building. An expert team from the firm will begin work immediately on the project, which has faced unforeseen delays often associated with buildings of this age. Fusion, a registered charity, has developed exciting plans to bring the pool and Turkish baths back to life, and add a spa, fitness suite and café bistro to the site. The plans include restoration of the Turkish baths and swimming pool, the creation of a new state-of-the-art fitness suite, glass fronted conditioning studios on the first and ground floor and contemporary changing areas. Works will also deliver a new spa which will offer a range of treatments and improved access for disabled people. It is estimated the works will be completed by the summer of 2019. 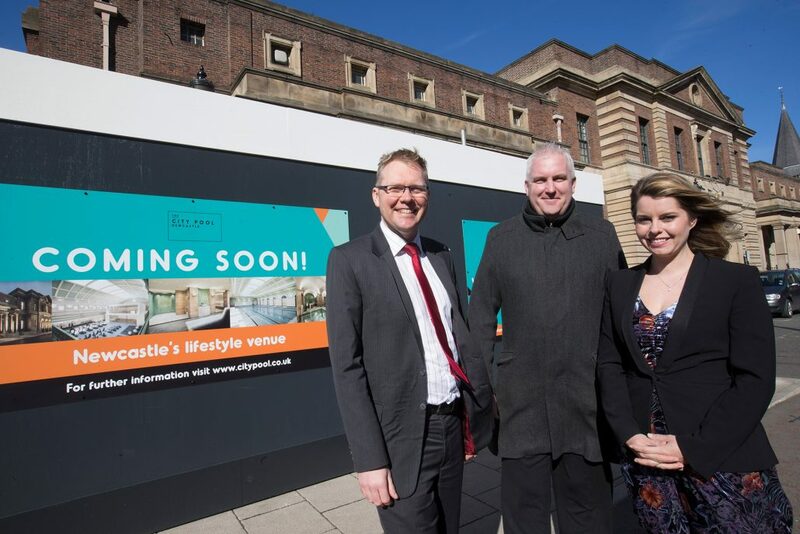 Anthony Cawley, operations director at Fusion Lifestyle, said: “We’re delighted to start the exciting work to bring the Newcastle City Pool and Turkish Baths back to life for a new generation. Fusion Lifestyle secured planning permission and listed building consent from Newcastle City Council in 2016 after spotting the historic venue thanks to the community campaign to save the building by Re-open Newcastle Turkish Baths and City Pool Group. The charity – which runs leisure venues across the UK – reinvests profits back into its operations to provide affordable health and fitness facilities for communities. Leader of Newcastle City Council, Councillor Nick Forbes, said: “It’s great to see redevelopment work starting on this historic city treasure. This is a beautiful building that we were determined would not be lost to the city. “Newcastle has been through a lot of difficult changes as a result of Government austerity, and we have had to search for new ways of providing the services residents want and depend on. “The investment about to go in to the City Pool is a great example of that. Newcastle City Council said we would not turn our back on leisure facilities and keep all options open, and by working with Fusion we see this building saved for people to enjoy. Fusion will work with a collection of specialists, including leisure design and construction firm Createability. Ian Cotgrave, managing director of Createability, said: “The restoration plans will turn this historic 1920s building into a stunning leisure destination fit for 21st Century use. The works will include careful restoration of many of the building’s original features, such as the original 1920s pool tiles, wood-panelled changing rooms and terrazzo flooring in the Turkish baths. Cait Read of the Re-open Newcastle Turkish Baths and City Pool Group said: “We are delighted that work will finally start to restore and re-open Newcastle City Pool and Turkish Baths. “What great news, in this year that is the 90th anniversary of the building first opening its doors to the public, that it will be restored, renewed and will re-open serving the people of Newcastle and visitors to the city as was originally intended. “We will continue to be involved alongside Fusion to ensure that the building re-opens as an affordable and accessible facility for all.